Fiona Woods much anticipated book ONE KIND AND ANOTHER was launched at The Courthouse Gallery in Ennistymon on Saturday 6th February. The book brings together strands or “episodes” of Wood’s art practice, A COLLECTION OF MINDS. Initiated through an invitation by the Colorado based rural arts collective M12, the presentation of a series of events, which included collaborations with GroundUp Artists, was seen by Woods as an exploration and allowance of the beingness of non human and human and their interactions with themselves and each other. The timely encounters underpinning this phenomenological work,at a time when biopolitics is increasingly in jeopardy globally, the invitations to the Ground Up Artists and others into events of collaboration allowed opportunities for engagement in the regional and metropolitan sense. A discussion chaired by Will O Kane opened a space to continue a process which included some reflection on that sense of Discovery,innovation and risk that the co- production had generated between the artists and indeed their communities of interest at the sites chosen by the artists in the REVERSE MAPPING section, which involved projections of Wood’s collection of the images from Colorado. “The outcome of collaboration is rampant, unforeseeable and always unexpected” according to Florian Schneider (2010) and the conversation in the Courthouse Gallery setting seemed to begin another conversation on the nature of alliances between artists which continue to be supportive of the individual and simultaneously promote the initiating spark of interest. As Fiona Woods continues her series of launches, it is hoped that this conversation will expand and draw further minds in to her growing collection. Perhaps the episodic quality of these events will open future collaborations?? Friendships, colleagueship, and the relational all support a sense of connection to place and to the multiplicity of voices in public spheres which are inclusive of all species. The violence which is referenced and enacted through the gunshot marks physically penetrating each book creates a sense of pause, time for contemplation before even the first page is turned with necro politics and economy of death overshadowing in its presence. 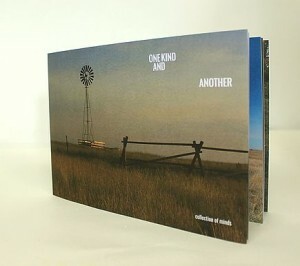 One Kind And Another by Fiona Woods. Fiona Woods’ new publication One Kind and Another is the outcome of her episodic collaborative practice collection of minds. This practice asserts the artist’s embededdness within and reliance upon social, geographical, and conceptual networks. This new publication documents a number of collection of minds episodes which took place over a period of 18 months (2014-2015). The episodes outline contrasting worlds from the High Plains of Colorado to the tracking of goat herds in the Burren. They produce a myriad of dialogues with others, including artists with a strong rural focus, gun club members and goat farmers. The publication captures a multitude of engagements with the material world, both sensuous and intellectual. Woods will be joined by members of the Ground Up Artists Collective who participated in some of these episodes, for a discussion about collaboration as process of discovery, as innovation, as risk. Please join us on Saturday the 6th of February. We’ll start the afternoon at 2pm with tea and coffee. At 2.30pm discussions will begin, concluding by 4pm. Fiona Woods is a visual artist whose practice crosses critical inquiry, artistic intervention and international research collaborations. 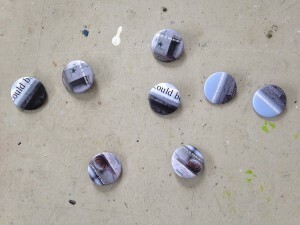 She uses public space, social situations and the institutional site of art as circuits for the production and distribution of works that explore ideas of public interest or what we have ‘in common’. She regularly operates in a co-productive capacity with others under the heading collection of minds. Woods is a recipient of the 2015 Fiosraigh Scholarship for a PhD candidate at the Centre for Transcultural Research and Media Practice, DIT, and she lectures at Limerick School of Art & Design. www.fionawoodsartist.wix.com/collectionofminds. Ennistymon Courthouse Gallery is Co.Clare’s leading public art gallery.The Artists’ Resource Room is a volunteer-led initiative intended to generate discourse on the Visual Arts. The work for One Kind and Another was made possible through generous support from The Arts Council of Ireland. 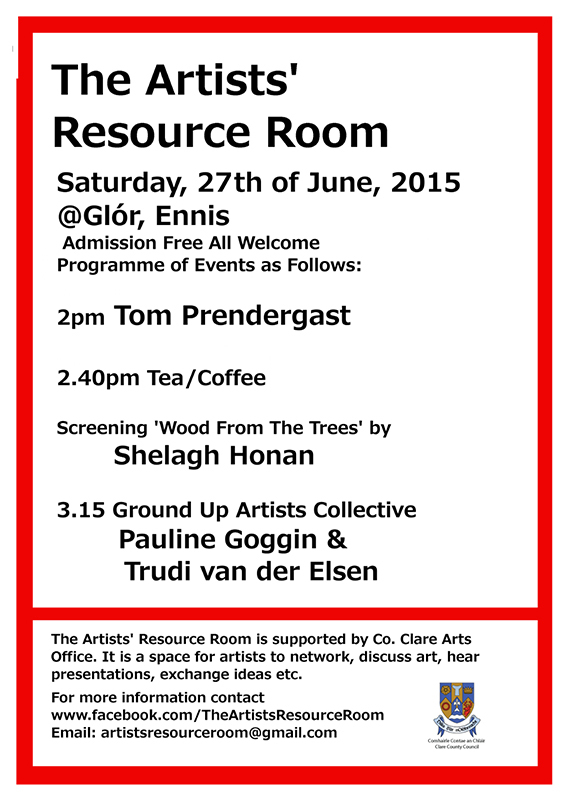 The National Endowment for the Arts (US) and Clare County Council. It was designed by Pure Designs. August 14th – September 3rd. 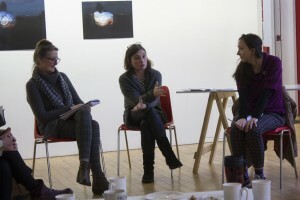 The title for the residency theme, Dwelling In Time, arose from the collective’s consideration of the essay Creative Intelligence by Fiona Woods that had been commissioned by Ground Up Artists. Through a series of meetings in 2014, this text served as a blueprint to explore the theme of “dwelling” and what it spoke to in terms of a collective practice which connected with the individual interests of the artists involved. The word “dwelling” can suggest place, habitation, or home. As a verb it is more active, in calling up ideas about living, a sense of conscious decision, or staying with whatever is in focus. It also suggests time, reflection and waiting with slow patience. The latter option is one that does not come so easily at this time of ever increasing acceleration, speed and instant gratification, with its intolerance of slow returns. Entering the second decade of the collective’s existence there is an acceptance of natural rhythms and the knowledge of the true time of reproduction. With that in mind GUAC made the conscious decision to uphold a slow, durational processes, this has been the experience of many of the Ground Up Artist’s practice. 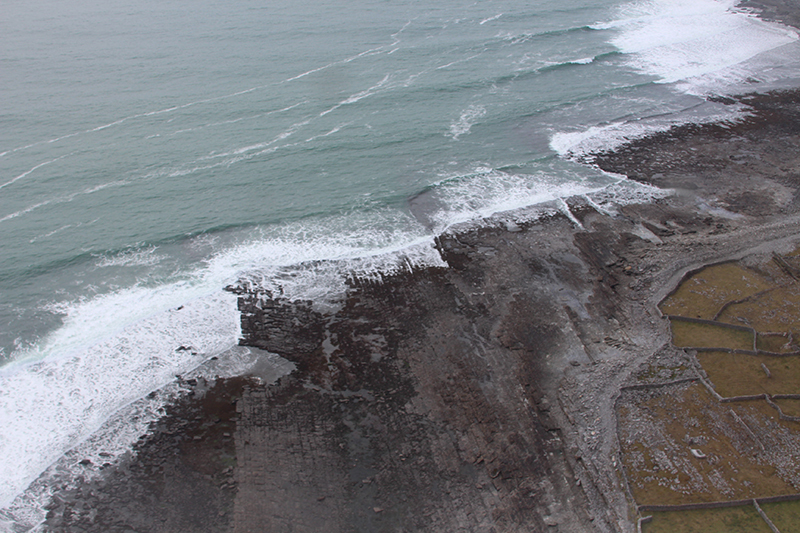 During the residency at Aras Éanna art centre on Inis Oirr, the collective’s presence on the island was strengthened through Ground Up Artist’s involvement with various groups and individuals. Meeting the layers and significance of language from the social, historical, political and economic perspectives of this Gaeltacht rural area was supported by an interest in building relationships and connections with the local people and community groups. Dwelling in Time has allowed both artists and the island community a chance to open up spaces for reflection, conversation, serious and playful considerations of issues which affect all, on and off the island. 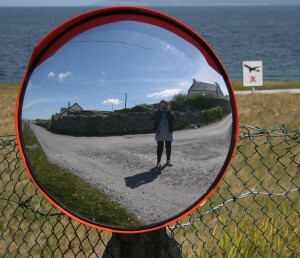 Artists participated in and supported some island community groups while entering into the vernacular of the island through speaking Irish and meeting some of the realities of island life which could be considered in the light of contemporary environments, on the larger island, or “mainland” of Ireland. The considerations of time, and the opportunity of a durational experience offered the participating artists the possibility of encounter. The collective was joined by groups with specific interests from outside of the island, MA candidates from Social Practice and Creative Environment programme in Limerick’s LSAD, collaborative team Kanelli & Smit from Freysland, and their project, EBB & FLO, was ongoing over ten days. 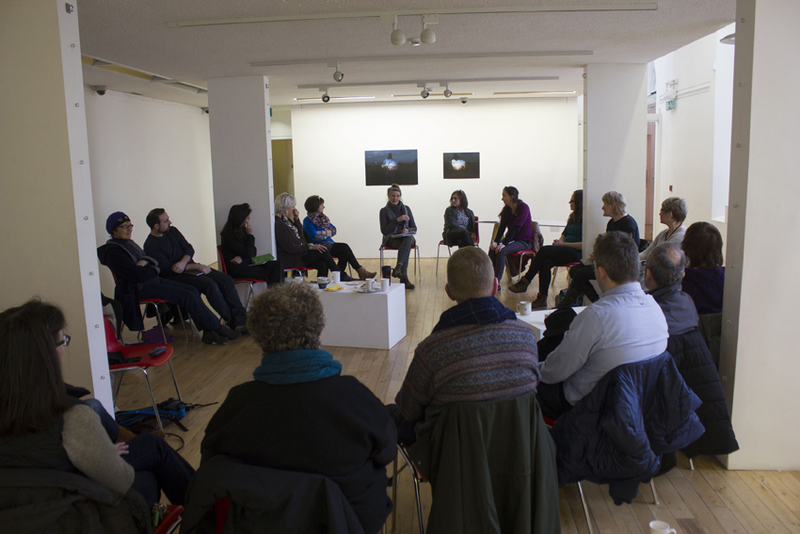 The Ground Up Artists wish to continue to develop a collective practice into the future. Possibilities for visits to Freysland and further invitations to engage in critical solidarities with communities, who are open to sustained engagement with their rural and agri-cultural concerns, bringing into visibility works which are part of a continuing development of a new rural aesthetic and practices which reflect the radical changes that are as much part of the rural as they are of the urban. Barry is a native of Tipperary but has now based himself in the unique landscape of the Burren in Co Clare. 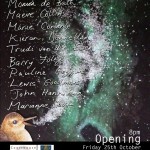 He has taken part in numerous exhibition and has works in Private Collections both in Ireland and Europe, has worked as Exhibitions Curator Assistant at the Limerick City Gallery of Art, under theguidance of Curator Helen Carey and has curated a number of shows in recent years relating to rural community, land and nature. ‘Heritage’ is perceived as this mythical creature, an entity, in a time and a place that exists just beyond our reach. On the face of it, it appears that rural Ireland and her traditions have been lost, irrevocably changed, hastened by time and the recent economic crisis. If you were to look, to engage, you might just find something wonderful but you won’t just stumble upon your heritage. It’s there, just waiting to be engaged, to be explored, rediscovered anew and to be shared.” In conversation with Pat O’Mara, Orchard Manager at Irish Seed Savers. Our connection with the landscape and all she holds has been a long established historical theme. More recently the various cycles of boom, bust, geopolitics and labour have further highlighted this symbiotic relationship and our growing dependence on the land in a world of ever decreasing resources. GUAC’s recent residency has been the embodiment of such research within a rural community. A Midnight Court Sitting: Inisheer, a 10 min film, not for the faint-hearted, enjoy the experience! 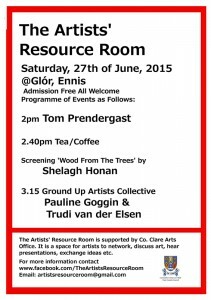 The Artist’s Resource Room invited Ground Up to do a presentation about their recent residency Dwelling In Time in Inis Oírr. The word “dwelling” can suggest place, habitation, or home. As a verb it is more active, in calling up ideas about living, a sense of conscious decision, or staying with whatever is in focus. It also suggests time, reflection and waiting with slow patience. 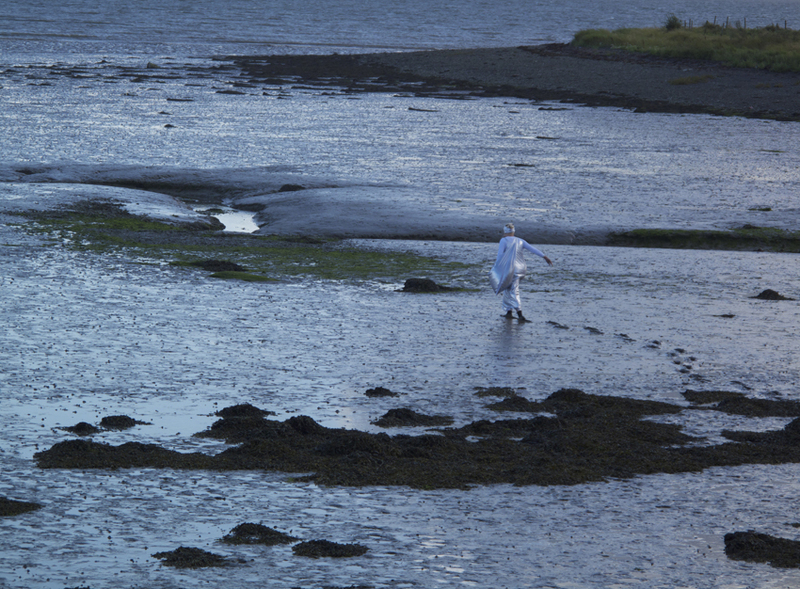 Collective Residency - The residency was an opportunity for the collective to consider the theme Dwelling In Time and for the artists to develop their own practice interests. 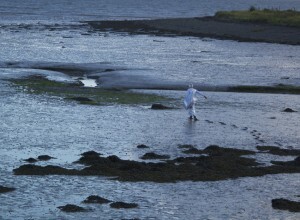 Residency within Residency - The collective invited Dutch artist collaboration, Kaneli & Smit to the island. 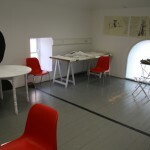 Residency visitors - Third Space Artist Research Collective, Galway. MA SPACE participants, Limerick. Dreamsharing group, Limerick. 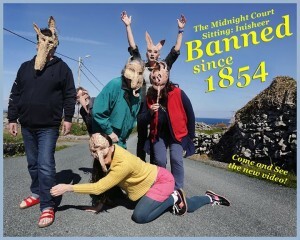 The Midnight Court - Weekly workshops and engagement with island communities and mask making workshops in Ennistymon. Performance event on Saturday May 2nd. Atelier in the former Dairy Factory of Marrum on Sunday 26 th October at 3.00 pm. ‘Songlines’, by Trudi van der Elsen has been selected by The Royal Ulster Academy for their 133 annual exhibition in the Ulster Museum, Belfast. Exhibition From 17 October – 5 January 2015. 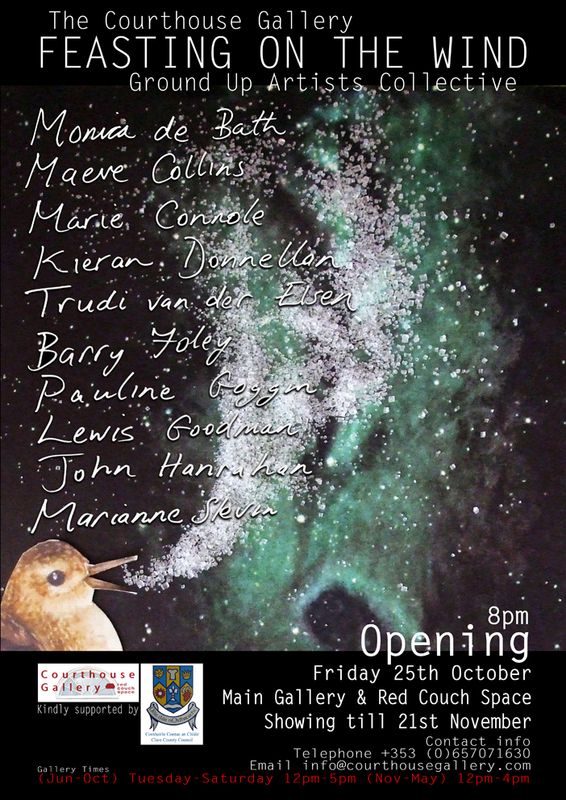 Video of the ‘Feasting on The Wind’ exhibition by GUAC in October 2013 in the Courthouse Gallery, Ennistymon. 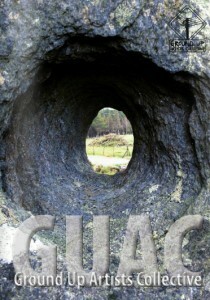 The film is made by Fergus Tighe with support of the Clare County Council.